David & Young Fashion Headphone Ear Muffs Just $8.99! Down From $40! Ships FREE! 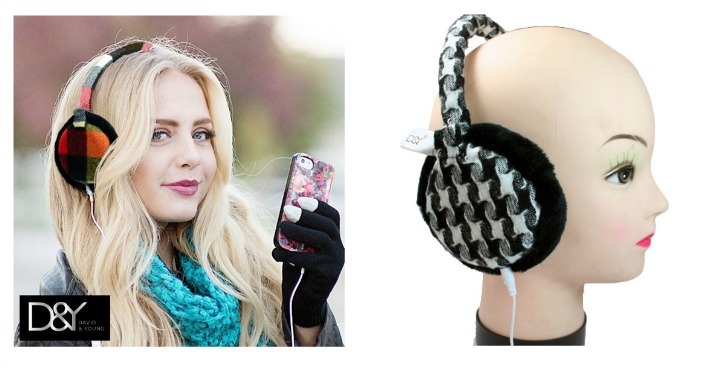 You are here: Home / Great Deals / David & Young Fashion Headphone Ear Muffs Just $8.99! Down From $40! Ships FREE! GearXS has these David & Young Fashion Headphone Ear Muffs on sale for $8.99 (Reg. $40) + FREE shipping! Want to listen to your favorite music in the frigid cold, while also staying warm? Now you can with these stylish Ear Dreams Ear Muff Headphones. The faux fur on these keeps your ears warm while you pump out your favorite jams. This high quality headphone has a frequency response of 20HZ-20KHz, with a 3.5mm connector to fit any standard phone, mp3, or music player.